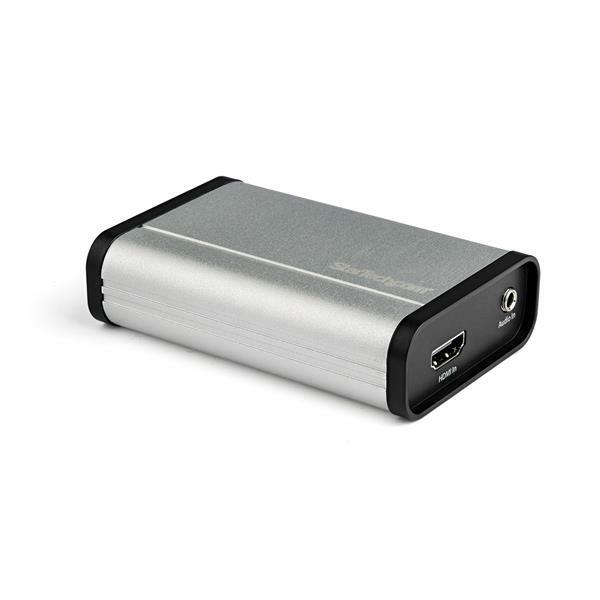 This HDMI to USB-C video capture device lets you record HDMI video to your USB-C™, USB-A or Thunderbolt™ 3 computer, and features a durable aluminum enclosure so it can safely travel with your laptop. 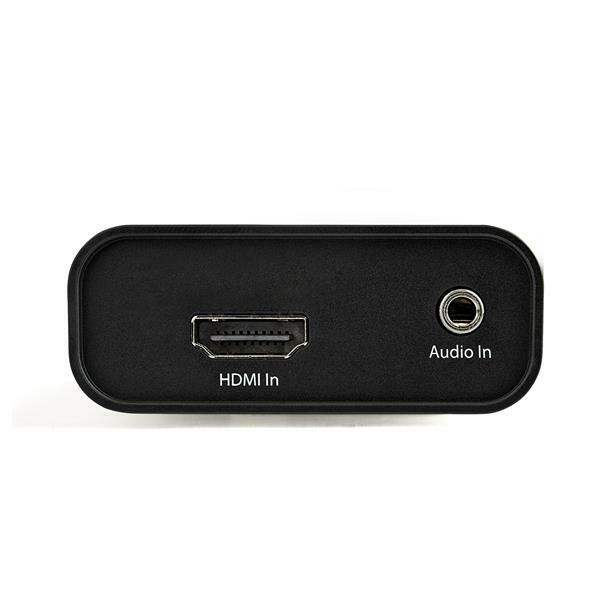 For hassle-free recording, you can install the HDMI capture device by simply connecting it to your computer. 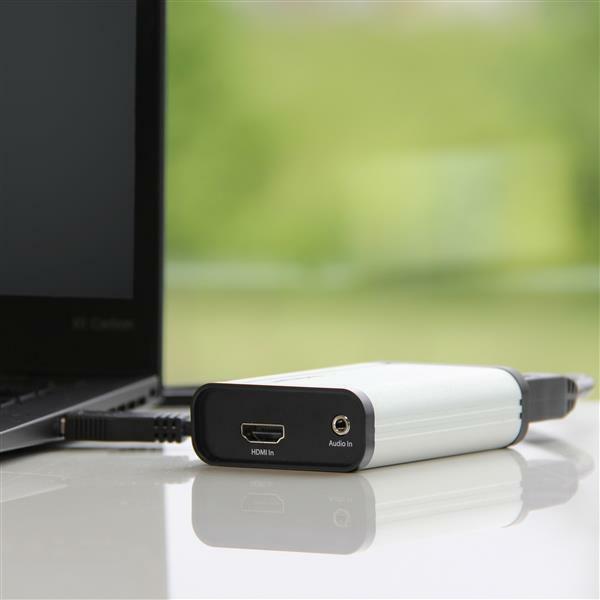 The capture device features USB Video Class (UVC), a video capture standard that’s natively supported by Mac, Windows® and Linux®. 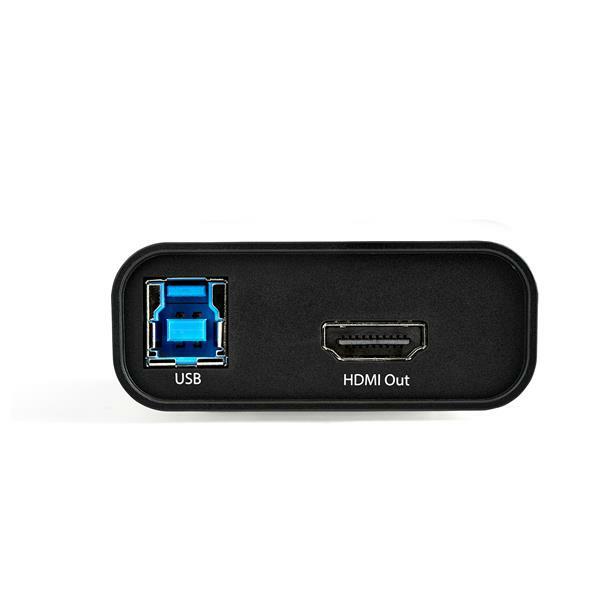 Unlike other capture devices that require proprietary driver installation, UVC based capture devices install automatically for a truly plug-and-play solution. 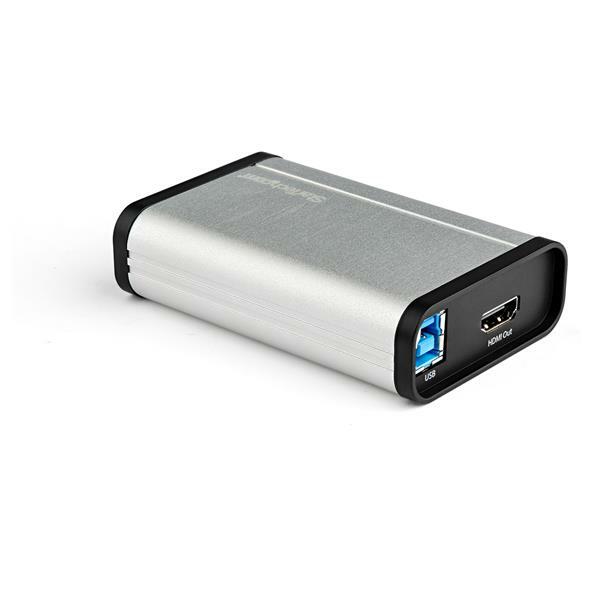 Also, with this capture device you're not limited to the included software. You can use any third-party software that uses UVC compatible frameworks such as Quicktime or DirectShow®. Stream your video over the internet using Twitch™ or other third-party video streaming platforms. With the included software or your own third-party UVC compatible software like Open Broadcaster Software (OBS), you can live broadcast video over the internet using Twitch or other third-party video streaming platforms. The UVCHDCAP is backed by a 2-year StarTech.com warranty and free lifetime technical support.